More than 3,500 people are resuscitated by ambulance staff every year in the South West because they suffer a pre-hospital cardiac arrest. For every minute that passes once in cardiac arrest, a person loses a further 10% chance of survival, and with this dramatic loss in chance of survival, there is a need of a defibrillator every 4-5 minutes walk. Without doubt availability would improve cardiac arrest survival rates throughout the South West. A defibrillator is a device used to give an electric shock to help restart a patients heart when they are in cardiac arrest. If there were more public access defibrillators, more people could get a life saving shock as quickly as possible, ahead of an ambulance, which would assist in giving them the best possible chance of survival. 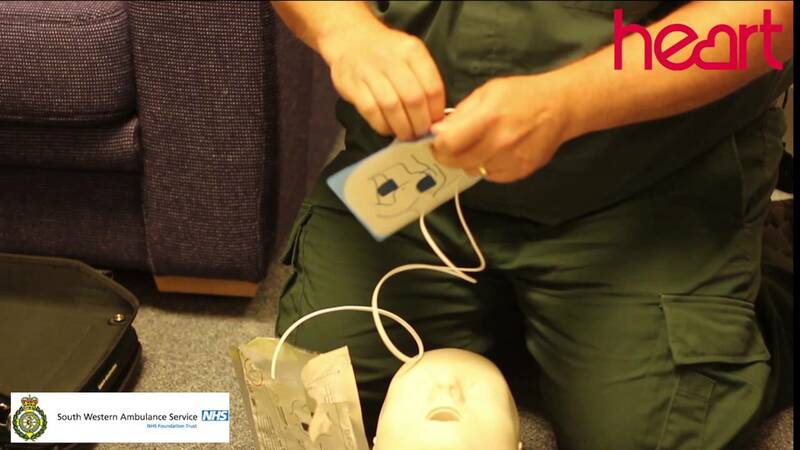 Automatic or semi-automatic defibrillators are easy and safe to use by anyone with little or no training. The device talks and displays what you need to do, with many devices also showing pictures. Defibrillators should be a common sight everywhere and particularly in high footfall places such as shopping centres, railway stations and leisure centres, or in rural areas such as village centres or pubs. Download a booklet HERE to see if you meet the standard to be registered on the South Western Ambulance Service 999 control system. The importance of registering your defibrillator on the 999 control system is to ensure that the person dialling can be reminded or directed to a nearby device which may aid to save someone's life. This may be someone who is found unwell in your car park or someone making a call from their mobile phone in the toilets.